MIAMI, Jan. 17, 2018 /PRNewswire/ -- VIVA Entertainment Group, Inc. (OTTV) ("VIVA" or "the Company"), a distributor of Over-The-Top (OTT) IPTV content to consumers in a bundled subscription format, today announced the release of a 60 second Spanish-language radio commercial featuring celebrated Hollywood actor, Luis Guzman, and Latina recording artist, Soleil J. The commercial will commence airing on Spanish language radio in Los Angeles and New York on February 1, expanding to ten additional markets in April. The Company will continue airing the commercial and increasing to additional markets through the end of 2018. Johnny Falcones, Chairman and Chief Executive Officer of VIVA, commented, "As we discussed last week, Viva Live TV can now offer a 'cut-the-cord' content solution, which allows us to more aggressively promote and market Viva Live TV. With this commercial, we can target the Hispanic audience on radio stations in the largest two markets while also developing and executing online promotions. Luis Guzman is a great friend and a respected, recognized voice in the Hispanic community. We anticipate this commercial reaching millions of potential customers in the coming months with a short-term goal of adding 200,000-250,000 new subscribers." Mr. Falcones added, "This is just the first phase of our new promotional campaign. As we previously discussed, we are going to be using guerilla street marketing, leveraging our partnerships, and preparing additional radio and online advertising spots, all of which will be rolling out over the coming several weeks. Our goal is to be premier OTT solution in the general and Hispanic Market, a true 'cut-the-cord' product." Interested parties can preview by clicking on link: https://spaces.hightail.com/space/ucTKVPJUvi. VIVA Entertainment Group, Inc. is a global entertainment and technology company connecting content owners and video distributors to deliver premium content on any smart device with a screen. Viva is a service provider of an OTT system through which television services are delivered using the Internet protocol suite over a network such as the Internet, instead of being delivered through traditional terrestrial, satellite signal and cable television formats. Viva, your entertainment partner, provides subscribers access to the content they want anywhere, anytime. With a WiFi connection our customers can watch Live TV from around the world, TV shows, as well as movies on demand, Tele-video conference and many other interactive features. Independent and Major film studios, television networks, Telecoms, Cable Companies, and emerging ISPS partner with Viva for enhanced capabilities in multi-platform video distribution. The only true end-to-end provider of premium content technology services, VIVA looks to license and deliver to traditional and OTT video distributors across the world. VIVA Entertainment Group (OTTV), Inc. (OTTV) ("VIVA" or "the Company"), a distributor of Over-The-Top (OTT) IPTV content to consumers in a bundled subscription format, today released a company update from the Chief Executive Officer, Johnny Falcones, in which he discussed corporate strategy, revenue opportunities, and what investors can expect during the first half of 2018. Mr. Falcones stated, "This past year we have been focusing on getting the best content agreements and the best user interface so that Viva Live TV can become the "go-to" media provider for the underserved communities in the United States and around the world. We have made tremendous strides over the year including our FlixFling and Oi2 Media agreements, both of which have significantly improved our media content and community outreach. I am now happy to announce that we have finished debugging the Flixfling media library interface and conducted beta testing. We expect that this content, which includes over 15,000 movies and live television streaming, will be available on Viva Live as soon as next week. "We are also launching a DVR feature for Viva Live TV that we are targeting to be up and running the first week of February. This is a huge feature for users as we move towards becoming a "cut-the-cord" content provider. To that end, we are engaging a strong social media campaign across multiple platforms to promote Viva Live TV and encourage "cord cutters" to subscribe to Viva Live TV." Addressing marketing further, Mr. Falcones added, "With Viva Live TV now reaching its potential as a "cut-the-cord" content provider, we are looking to rapidly expand our subscriber base. We currently have over 1,100 subscribers which, considering our marketing efforts thus far have been negligible, is commendable. But we are now embarking on a promotional venture with Spanish Broadcasting Systems, the largest Hispanic network in the USA, to promote and market Viva Live TV to the Hispanic audience on all of their radio stations and promotional platforms (digital and live events). This campaign model will be followed by a general market campaign. Commercials will be posted online featuring Hollywood star Luis Guzman and Latino Star Soleil J. Combined with our Oi2 partnership, we should reach a huge segment of our target audience. "To further increase our subscriber base, we are rolling out a strategy with major media distributors and digital handlers to promote and market Viva Live TV in a "street guerrilla" campaign targeting the United States and Puerto Rico markets. This strategy has never been done before for OTT providers and we are excited by the potential. "We will also be continuing Viva Live TV's strategy to be part of major media events with direct participation at the Gilberto Santa Rosa concert at Radio City Music Hall on February 3rd. This event is a fund raiser for Latino baseball super Star Carlos Beltran's charity foundation. We will also on participate in the February 2nd Gilberto Santa Rosa concert at the Allentown Pennsylvania Performing Arts Center." "Finally, we just opened the new Viva Live TV headquarters in Long Island City, New York, where the Viva team will be running operations for the North East markets. The Hispanic market in the North East is a totally different demographic than what we have in Florida and other parts of the US an Latin America, with different tastes and media needs. Our New York office will enable us to better tailor our content and product to ensure that all of our subscribers have an exceptional experience with Viva Live." About VIVA Entertainment Group, Inc.
MIAMI, Dec. 21, 2017 /PRNewswire/ -- VIVA Entertainment Group, Inc. (OTTV) ("VIVA" or "the Company"), a distributor of Over-The-Top (OTT) IPTV content to consumers in a bundled subscription format, today announced that it has completed the interface redesign as part of the revenue sharing and service agreement with FlixFling, LLC., which will allow subscribers access to the FlixFling catalogue through the VIVA portal starting at 11am today. As previously announced, VIVA signed a five-year agreement with FlixFling which provides for a shares of 20% of sales by VIVA of FlixFling subscriptions and 30% of from video-on-demand downloads sold through VIVA. The agreement also provided for VIVA and FlixFling to work together to promote and market the product and also develop an integrated user experience between the two services. Johnny Falcones, Chief Executive Officer of VIVA, commented, "We have spent the six months since signing the revenue share agreement with FlixFling working together to develop a seamless and integrated platform so that VIVA customers access to one of the best streaming services out there for the latest movies and music videos on demand. Our goal from the beginning has been to create in VIVA an affordable solution that gives our customers access to the broadest possible range of meaningful content. FlixFling's platform of movies-on-demand combined with music video channels makes VIVA one of the best OTT providers on the market. The redesigned app will allow customers to easily access both VIVA and FlixFling content without having to switch between apps. It is just one more way in which VIVA is setting itself apart from the rest of the OTT community." Philadelphia-based FlixFling offers over 15,000 movies and television shows across all genres in an OTT format. Their unique service gives customers a choice between video-on-demand and monthly subscription services. They are currently the only streaming service to offer both movies and music to customers at one low price and the only service to offer streaming music video channels. FLIXFLING, LLC, is a streaming movie and television service based in Philadelphia, PA. FlixFling, is available on multiple devices and platforms including TiVo, Opera, Roku, Xbox, IOS, Android, Chromecast, Vizio (VZIO), Samsung and others. FlixFling is a subsidiary of Invincible Pictures, a full service film production and distribution company. For more information, go to www.flixfling.com or www.invinciblepictures.com. SOURCE Viva Entertainment Group Inc.
VIVA Entertainment Group, Inc. (OTTV), a distributor of Over-The-Top (OTT) IPTV content to consumers in a bundled subscription format, today announced the signing of Hollywood Award Winning Actor/Humanitarian/Activist Luis Guzmán in a multi-level endorsement agreement. Under the terms of the Agreement, Guzmán will endorse the VIVA brand and serve as a public face for the Company, engage in promotional activities, provide referrals to Company, participate with ongoing social media efforts, marketing activities and promotions with VivaLive TV, and participate in public speaking engagements, events, meetings, and media opportunities. Guzmán's extensive movie and television career spans nearly 40 years and is widely regarded as one of the most recognizable actors in Hollywood with over 140 credits in film and television. Famous for his roles in Boogie Nights, Carlito's Way, Count of Monte Cristo, Magnolia, Narcos, is presently staring in the CBS medical drama, Code Black. Johnny Falcones, Chief Executive Officer of VIVA, commented, "I'm excited to have my long-time friend, Mr. Luis Guzmán, involved in helping promote the VIVA brand and bring awareness of our amazing product to the world. Luis has a huge domestic and international fan base with whom he is eager to share all that VIVA has to offer. When you combine the recent Oi2 marketing agreement the Time Square Billboard and Luis' star power, we believe that we can reach a significant number of potential customers. Once those potential customers understand the incredible value of VIVA, they will become service subscribers. Our short term goal is to reach 100,000 subscribers and we believe these relationships should get us far along in realizing this target." Luis Guzmán states: "Becoming a part of the VivaLive TV family is a very exciting time for me. 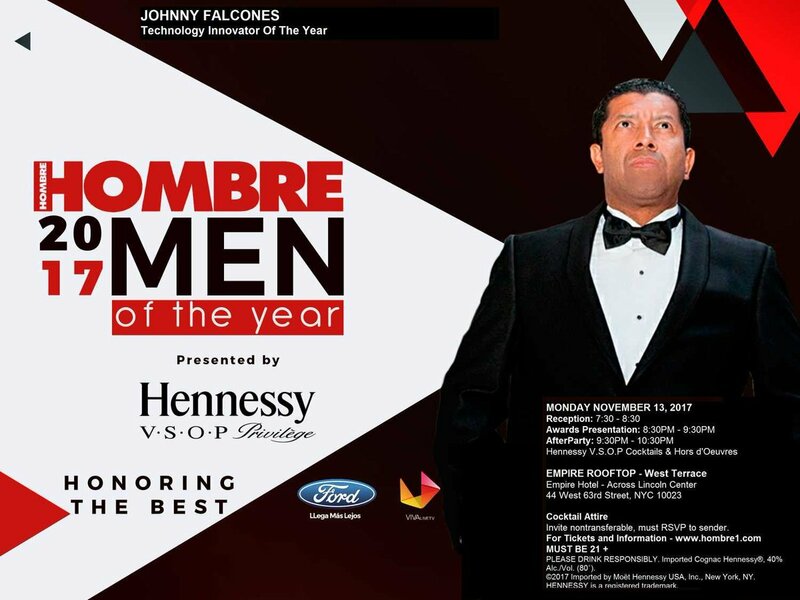 Johnny Falcones is a man of vision and I am very proud to be working with him and his brand for years to come." VIVA Entertainment Group, Inc. is a global entertainment and technology company connecting content owners and video distributors to deliver premium content on any smart device with a screen. VIVA is a service provider of an OTT system through which television services are delivered using the Internet protocol suite over a network such as the Internet, instead of being delivered through traditional terrestrial, satellite signal and cable television formats. VIVA, your entertainment partner, provides subscribers access to the content they want anywhere, anytime. With a WiFi connection our customers can watch Live TV from around the world, TV shows, as well as movies on demand, Tele-video conference and many other interactive features. Independent and Major film studios, television networks, Telecoms, Cable Companies, and emerging ISPS partner with Viva for enhanced capabilities in multi-platform video distribution. The only true end-to-end provider of premium content technology services, VIVA looks to license and deliver to traditional and OTT video distributors across the world. VIVA is a publicly traded company under the stock symbol OTTV. Luis Guzmán worked as a youth counselor at the Henry Street Settlement House, while performing in street theater and independent films, and graduated from The City College of New York. Early in his career, he made guest appearances on numerous television shows, including "NYPD Blue," "Law & Order," "Oz," "How to Make it in America," "John from Cincinnati" and "Miami Vice." Guzmán has been nominated for a Screen Actors Guild Award® three times, for his roles in the films "Boogie Nights," "Magnolia" and winning Outstanding Performance by a Cast in 2001 for the Academy Award®-nominated film "Traffic." Also, he received an Independent Spirit Award nomination for Best Supporting Actor for his role in "The Limey." Guzmán was born in Puerto Rico and grew up in Manhattan. Currently, he splits his time between Los Angeles and his 600 acre farm in Vermont where he keeps horses, foul, livestock and has his own maple sugar grove. His birth date is October 22. This prospectus relates to the offer and sale by Viva Entertainment Group Inc., a Nevada corporation (“OTTV”), of shares of its $.00001 par value per share common stock to employees, directors, officers, consultants, advisors and other persons associated with OTTV pursuant to the 2017 Non-Qualified Stock Compensation Plan (the “Stock Plan”). Pursuant to the Stock Plan, OTTV is registering hereunder and then issuing, upon receipt of adequate consideration therefore, 500,000,000 shares of common stock. These Securities Have Not Been Approved Or Disapproved By The Securities And Exchange Commission Nor Has The Commission Passed Upon The Accuracy Or Adequacy Of This Prospectus. Any Representation To The Contrary Is A Criminal Offense. In order to provide a possible source of funding for the Company, the Company, on December 1, 2017, entered into an Investor Agreement (the "Agreement") with Ignition Capital, LLC ("Ignition"). Pursuant to the Agreement, Ignition has agreed to provide the Company with up to $5,000,000 of funding through the purchase of shares of the Company's common stock. During the term of the Agreement, the Company may deliver a Put Notice to Ignition, which will specify the number of shares which the Company will sell to Ignition. The minimum amount the Company can draw down at any one time is $25,000, and the maximum amount the Company can draw down at any one time is $250,000, as determined by the formula contained in the Agreement. A closing will occur on the date which is no earlier than five trading days following and no later than seven trading days following the applicable Put Notice. On each Closing Date, the Company will sell, and Ignition will purchase, the shares of the Company's common stock specified in the Put Notice. The amount to be paid by Ignition on a particular Closing Date will be determined by multiplying the Purchase Price by the number of shares specified in the Put Notice. The Purchase Price will be 75% of the lowest trading price of the Company's common stock during the Pricing Period applicable to the Put Notice. The Pricing Period, with respect to a particular Put Notice, is five consecutive trading days including, and immediately following, the delivery of a Put Notice to Ignition. The Company may submit a Put Notice once every fifteen trading days provided the closing of the previous transaction has taken place. The Company is under no obligation to submit any Put Notices. The Agreement has a term of 24 months, which will begin on the effective date of the registration statement which the Company has agreed to file with the Securities and Exchange Commission so that the shares of common stock to be sold to Ignition may be sold in the public market. The Company issued a promissory note to Ignition for the principal sum of $25,000 as a commitment fee for the equity line. The note bears interest at 15% per year, is unsecured, and is due and payable on December 1, 2018. At the option of Ignition, all or any part of the note may be converted into shares of the Company's common stock. Any amount so converted will be converted into common stock of the Company at a price of 50% of the lowest trading price on the primary trading market on which the Company’s Common Stock is quoted for the ten (10) trading days immediately prior to but not including the Conversion Date. Viva Entertainment Group, Inc. (OTTV), (OTC: OTTV), a service provider of OTT systems through which television services are delivered using the Internet, today announced that it has hired Supersonix Media in preparation for market expansion of VivaLive TV. After four years since its inception, Supersonix Media has experience rapid growth with the delivery of public relations and production services. Its expert knowledge has delivered dynamic out-of-the-box campaigns to drive tangible results in branding and media. They represent a unique group of actors, films, musicians, businesses, and non-profit organizations across the nation. Johnny Falcones, VIVA's Chairman and CEO comments, "Its a great joy working with the Supersonix team and to have taken another step towards our market expansion. With the Times Square Billboard starting tomorrow our radio campaigns, and Supersonix experience in the sector, makes this addition a perfect match for what Viva has been looking for. An innovative public relations team that will help position our company and shareholders well in the public sector for years to come." Supersonix Media's CEO Wendy Pineda is well-regarded and well-known, having held senior executive positions at Universal Studios Hollywood, BET, Telemundo, Liberman Broadcasting, and Azteca America among various others. For over 20 years her versatile experience in news, television, radio, film, crisis communication, promotions, event production, social media, and digital content has allowed her to be a visionary businesswoman providing effective and consumer-direct communications campaigns designed to increase branding. Her vast experience and team of professionals have executed national, corporate, and targeted campaigns for Revenge of The Mummy - The Ride, Twilight Saga Movies, Spotlight, Jane The Virgin, Mission Impossible, Fast & Furious as well as projects with leading industry talent including John Landis, Jenni Rivera, Stephen Sommers, Emilio Estefan, and Maria Celeste Arraras (to name a few). Wendy Proudly states, "Working with this visionary company and CEO we have a great responsibility on our shoulders to deliver the best representation possible in our quest to help Viva to be one of the best companies in the market." VIVA Entertainment Group, Inc. is a global entertainment and technology company connecting content owners and video distributors to deliver premium content on any smart device with a screen. VIVA is a service provider of an OTT system through which television services are delivered using the Internet protocol suite over a network such as the Internet, instead of being delivered through traditional terrestrial, satellite signal and cable television formats. VIVA, your entertainment partner, provides subscribers access to the content they want anywhere, anytime. With a WiFi connection our customers can watch Live TV from around the world, TV shows, as well as movies on demand, Tele-video conference and many other interactive features. Independent and Major film studios, television networks, Telecoms, Cable Companies, and emerging ISPS partner with Viva for enhanced capabilities in multi-platform video distribution. The only true end-to-end provider of premium content technology services, VIVA looks to license and deliver to traditional and OTT video distributors across the world. VIVA is a publicly traded company under the stock symbol OTTV http://www.vivalivetv.net http://www.vivalivetv.com. Supersonix Media, Inc. was founded in 2013 and has become a major for in the public relations spectrum. With headquarters in Los Angeles and field offices in New York, Miami, and Chicago Supersonix media has represented companies such as Azteca America, Boys and Girls Club, AEG Live, (to name a few) . Its diverse client list includes established and rising stars such as Luis Guzman, Felipe Esparza, Ryan Carnes, Adriana Fonseca, Vannessa Vasquez, Danielle Vega, Al Coronel, Sal Velez Jr., Juan Gabriel Pareja, Mary Kennedy, Anthony 'Citric' Campos, Stephanie Arcila, Miguel Sagaz, Hansel Ramirez, Jason Scott Jenkins. VIVA Entertainment Group, Inc. (OTC: OTTV), a distributor of Over-The-Top (OTT) IPTV content to consumers in a bundled subscription format, today announced the signing of Hollywood Award Winning Actor/Humanitarian/Activist Luis Guzmán in a multi-level endorsement agreement. Viva Entertainment Group, Inc., (OTC: OTTV), a service provider of OTT systems through which television services are delivered using the Internet, today announced that it has hired Supersonix Media in preparation for market expansion of VivaLive TV. U.S. premium channels available as of June 1st, 2017. July 5th video showing the app, click on the Picture to view the video. YouTube video of OTT Box that is coming with premium subscription for VivaLive TV. VivaLiveTV.com click below to see streaming, premium not available on streaming webset only Apple and Google Play apps so far. Viva Entertainment Group. (OTC: OTTV), the developer of innovative OTT systems through which television services and content being delivered using the Internet mobile- and web-based platforms, is proud to unveil its Premium Movie Channel Package consisting of HBO®, SHOWTIME®, CINEMAX® AND MOREMAX® premier channels. The Company is pleased to offer this entire package to all current VivaLiveTV customers at no cost for the next thirty days. The new subscribers will have 3 days to sign up and become eligible to receive same special offer. This package is available for purchase at monthly rate of $28.95. Johnny Falcones, CEO, proudly adds: "VivaLive TV has been focused on creating the best viewing experience for its customers and shareholders. Just in past 10 days, we had expanded our platform with such new viewing options and features like integration with Roku®, Amazon Fire TV® platforms and launching a DVR functionality. An addition of premium content such as HBO®, SHOWTIME®, CINEMAX® and MOREMAX® confirms that Viva is well on its way of becoming the golden standard of the OTT industry. I am very proud of my management team and very thankful to all customers and shareholders. It's a great feeling to see how Viva is moving towards becoming the best tv streaming platform in the market." Viva Entertainment Group., (OTC: OTTV), the developer of innovative OTT systems through which television services and content is delivered using the Internet mobile and web-based platforms, is pleased to announce the integration of its VivaLive TV with Amazon's Fire TV, the second largest TV streaming platform in the US with estimated 2017 numbers of 35.8 million users and 21.3 percent of connected TV users. Johnny Falcones, CEO comments: "VivaLive TV is now integrated with two of the largest streaming providers in US: Roku and Fire TV. Combined, both platforms provide Viva with access to a whopping 43.3 percent of connected users in US. Integration with Fire TV will bring many advantages to the VivaLive TV users including all-new voice assistant feature which will drive up and expand user base as smart home solutions became more and more popular." This upgrade is being beta tested and shall be available to all VivaLive TV customers by August 4, 2017. Viva Entertainment Group., (OTC: OTTV), the developer of innovative OTT systems through which television services and content is delivered using the Internet, mobile and web-based platforms is pleased to announce the integration of its VivaLiveTV with Roku®, the leading TV streaming platform in the US with nearly 7 billion total hours streamed by the users during the first half of 2017. This upgrade shall be available, effective August 3rd, 2017. "This integration will create a significant revenue generating and marketing opportunity for Viva by potentially connecting VivaLiveTV with Roku® 15 million monthly active users. Roku® devices are accessed by more households than any other OTT streaming device. In an increasingly competitive market with some of the biggest names in tech vying for position, Roku carved out almost half the device market with 49% market share. A key advantage Roku® has over its competitors is its exclusivity - their platform is open to any content provider. Viva is clicking on all cylinders including the successful soft product launch and with just completed total retirement of GPL Ventures Convertible Debt Notes." VIVA Entertainment Group (OTC SYMBOL: OTTV), a developer of OTT systems through which television services are delivered using the internet, recently filed its quarterly financial report on Form 10-Q and provided the following financial up date in regards to its current Convertible Debt Schedule (see below). Convertible Notes Payables by $469,430.00 through a combination of conversion of note principal into common stock and favorable debt restructuring agreements. As a result of these actions, convertible debt decreased from $725,800 to $256,371. Johnny Falcones, Chief Executive Officer of Viva, commented, "The Company is committed to streamlining its financing and operations to support its growth opportunities and looks forward to providing timely updates to our shareholders as they become available. Going forward, Viva plans to secure non-dilutive and more company-friendly forms of funding structures to successfully support its distribution and marketing operations." Potential investors are cautioned that, since the above changes in outstanding debt and the respective amounts of such debt shown in the table are unaudited, and include in the covered period a partial month, there can be no assurance that the assumptions in preparation of amounts shown in the table will prove to be accurate. In light of the significant uncertainties inherent in the assumptions underlying preparation of the above table, and the lack of review by the Company's independent audit firm, the amounts shown in the table shall not be regarded as a representation by the Company or any other person that the financial results shown will prove to be accurate. PHILADELPHIA, July 7, 2017 /PRNewswire/ -- Integrated Ventures, Inc., (OTCQB: EMSF), is publicly traded diversified holding company that acquires, invests and operates revenue generating companies is pleased to announce that it has signed a Exclusive Distribution Agreement for the State of Puerto Rico with Viva Entertainment Group, Inc (OTC: OTTV). Under terms of this agreement, Integrated Ventures has agreed to distribute VivaLive TV's products, content and services to its commercial and residential clients, including wireless service providers and dealers. In addition, Integrated Ventures, Inc intends to market VivaLive TV products, content and services via partnerships with hotel chains, manufacturers, major retail chains and health care organizations. Steve Rubakh, CEO comments, "We are very proud to represent VivaLiveTV Brand which is a great fit for our portfolio of soon to be acquired assets with a high growth potential and confident that we will be able to provide Viva with a direct access to the new channels, secure new subscribers and promote VivaLive TV to the fast growing Latino community. This strategic business partnership is just a beginning of great things to come between both companies." Integrated Ventures, Inc is a publicly traded company that acquires, invests and operates revenue generating companies, primarily in the health care, mobile technologies, transportation and consumer goods markets that have a seasoned management team, solid operating histories, minimum debt, high growth potential and tangible assets, designed to mitigate investor risk. The Company is focused on implementing unique business strategies, on creating liquidity through asset based infrastructure, on supporting and improving operations, on securing and infusing growth capital, on maintaining and expanding a market presence in their niche sectors, while constantly enhancing this process by a multitude of initiatives. VIVA Entertainment Group (OTC: OTTV), a developer of OTT systems through which television services are delivered using the Internet, is pleased to announce the release of their long-awaited app, VIVAlive on Android's Google Play and its TV Portal http://www.vivalivetv.com. "I am extremely pleased and proud to make this announcement. Today is a very proud moment and milestone for our company. Due to the unparalleled dedication by our team members, my vision is finally coming to reality. VIVA is focused to empower cable companies and telecoms globally with our cost-effective, content rich and technologically superior services, and to deliver a global subscriber base the ultimate entertainment experience while cutting the cord. To commence our launch, we have decided to offer all clients and shareholders a 30-day free trial. This promotion is designed to test the system and to allow VIVA users to provide feedback on the platform's design, transmission quality and overall experience. VIVA will forever work hard to maintain our quality and a standard of excellence," said Johnny Falcones, VIVA's Chairman and Chief Executive Officer. The VIVAlive Apps contain Live Premium TV such as ESPN, ESPN2, TNT, Fox, Fox News, NBC, CNBC, MSNBC, CBS, TBS, Lifetime, MTV, BET, Telemundo, Univision, Cartoon Network, A&E, Animal Planet, AMC, Discovery, Comedy Central, Disney, E! Entertainment, FX, CW, History Channel, Lifetime, My Network, National Geographic, OWN, PBS, Spike, Syfy, USA, The Weather, Channel, Bravo, HLN, ION, CSPAN, VH1, Nickelodeon, Food Network, CMT, Hallmark, TLC, HGTV, QVC, CNN and ABC . VIVAlive also contains hundreds of independent and international channels from Latin America and around the world. It has thousands of movies. VIVA is looking to produce its own movies to be seen exclusively on VIVAlive. Radio stations are to be added and the ability to shop. This includes an array of other technologies that will help enhance consumer experience and stay in their own Universe for a flat fee of $49.99 a month with no hidden charges. VIVA is working to be added in other platforms such as Smart TVs, Amazon Fire Stick, Apple TV and Roku. The subscriber base and affiliates will help generate immediate revenues to the company and shareholders alike. VIVA Entertainment Group (SYMBOL: OTTV), a developer of OTT systems through which television services are delivered using the internet, is pleased to announce the release of their long awaited iOS version of Vivalive App for all iPhones and iPads. The App is available for free download from Apple Store and TV Portal from http://www.vivalivetv.com. "I am extremely pleased and proud to make this announcement. Today is a very proud moment and milestone for our company. Due to the unparalleled dedication by our team members, my vision is finally coming to the reality. VIVA is focused is to empower cable companies and telecoms globally with our cost-effective, content rich and technologically superior services, and to deliver a global subscriber base the ultimate entertainment experience while cutting the cord. To commence our launch, we have decided to offer all clients and shareholders a 30 day free trial. This promotion is designed to test the system and to allow VIVA users to provide feedback re platform's design, transmission quality and overall experience," said Johnny Falcones, Viva's Chairman and Chief Executive Officer. The Vivalive App will contain a Live Premium TV such as ESPN, TNT, Fox, NBC, thousands of movies an array of radio stations amongst other technologies that will help enhance the consumer experience and stay in their own Universe for a flat fee of $49.99 a month with no hidden charges. Our subscriber base and affiliates will help generate immediate revenues to the company and shareholders alike. Viva Entertainment Group, Inc. (OTC SYMBOL: OTTV), the developer of innovative OTT systems through which television services and content is delivered using the Internet mobile and web based platforms is pleased to announce the signing of the distribution and strategic partnership agreement with Triad Wireless, a manufacturer and operator of the integrated systems that range from providing Internet for commercial and residential clients at competitive prices that break the digital divide and the cable monopolies, offer speeds not available to users of DSL or satellite, provide extreme Internet connectivity anywhere in the world, including third-world countries and safeguard a critical nationwide infrastructure in locations such as airports and municipal water systems. Under terms of this agreement, Triad Wireless agreed to deploy, market and distribute Viva's OTT content, products and services to its commercial and residential clients. Triad Wireless and its affiliates have a nationwide distribution network that delivers an Internet connectivity services to over 3 million homes and now will have access to all Viva Live OTT services including movie rentals, radio and an international pay per view programs such as concerts and sports events. Viva Entertainment Group's CEO, Johnny Falcones comments, "This strategic alliance provides Viva with the access to the Triad Wireless's extensive network of commercial and residential clients which can potentially result in generating over $140,000,000 (140 million dollars) revenue stream, consisting of monthly subscription fees, advertising fees and movie rentals. This agreement will speed up the introduction and adoption of the Viva OTT platform nationwide. Personally, I would like to congratulate Triad Wireless on launching the first in the world, 200 Mbps commercial and residential Internet service and look forward to working closely with Triad Wireless in order to realize the full potential that this partnership and collaboration presents for both companies. This is a key milestone in terms of Viva's content and product distribution strategy, market expansion, technology validation and creates a direct path to the significant revenue stream." Viva Entertainment Group, Inc (OTC: OTTV), a developer of OTT systems through which television services are delivered using the Internet, is pleased to announce that it has entered into a Distribution and Marketing Agreement with the Non-Profit Montessori Model UN Program (MMUN), designed to generate subscribers for Viva's online entertainment programming as well as revenue not only for MMUN to use to fund its humanitarian projects, but also to make the reciprocal benefits available to the larger UN NGO community, including other Model UN programs. MMUN's communications reach more than 5,000 domestic schools and 7,000 schools globally, and within the UN NGO community there are approximately 3,500 organizations that can benefit from Viva's Reciprocal Revenue program. The total reach is estimated to be more than three million domestic households of supporters to the NGO and school communities. Under the terms of the agreement, Viva has funded the development of The Bridge App, a free app designed by MMUN student Delegates that will enable humanitarian organizations to leverage their resources and more cost-effectively accomplish their goals. MMUN will distribute the app for free to its network of schools and to the UN NGO community. Users of the app will have the option of subscribing to Viva's online entertainment programming, which will effectively permit them to eliminate their cable TV subscription, significantly reducing their at-home entertainment costs. "Subscribers will not only save money, but they also will contribute to the greater good, because a portion of the monthly subscription money is allocated to benefit the participating organization," states Viva's CEO, Johnny Falcones. "For NGOs, this is an important opportunity," MMUN Chairman Michael Jacobson adds. "Viva will provide an NGO with a predictable monthly revenue stream while providing a significant savings for their supporters on their home entertainment bills. It's a win-win for all parties involved and will help to overcome donor fatigue. I think once the program is launched by the NGO and school communities that it will be picked up by other community organizations that in need of new ways for fund raising such as churches, mosques and synagogues for their projects. It's easy to promote and implement because they are saving their supporter's money by offering TheBridge App." The app's design has been successfully previewed to MMUN's school network, and the free version will become available for download in September, in time for the school fund raising season and before the NGO community's traditional fund raising push begins. NEW YORK, April 12, 2017 /PRNewswire/ -- Viva Entertainment Group, Inc (OTC: OTTV), a developer of OTT systems through which television services are delivered using the Internet, is pleased to provide a detailed update about company's network system, to provide corporate highlights and discuss an up and coming strategic initiatives. Effective 04/1/2017, the company is pleased to announce the commencement of its marketing and social media campaign with launching of Viva Live Teaser Commercial which can be seen on Billboard located at Times Square, New York. This prime location is expected to generate over 16,175 Commercial Impressions for the period from April 1st to January1st, 2018. The plans are made to produce and launch an official Viva Commercial. Please click to see Viva Live Commercial: https://neutron-media.sharefile.com/d-s8b679a7c6d94d188. Johnny Falcones, VIVA's Chairman and CEO proudly comments on corporate and business related goals: "The first 4 months have been a very successful and full of great developments for VIVA. Our team has been able to establish many relationships with major content providers, to finalize an integration with customized API for our key partners like FlixFling Movies, OI2/Film On Radio, Niche Networks, TikiLive Premium Content with focus on the ultimate consumer experience. We are committed to transform Viva into the hottest OTTV provider and to deliver on anticipated value building milestones. I am very confident that Viva will reach a significant number of corporate and operational milestones which will result in increased of shareholder's value for our investors, key vendors and strategic partners." In next 14 days, Company plans to update shareholders and to file 8K with details about the strategic alignment with the major cable & telecom partner and collaboration with non-profit organization as well to provide a detailed information regarding potential joint venture projects and distribution initiatives with the international content providers. To deliver high compression application designed to offer an optimal viewing experience for consumers. To release all-new iOS and Android Apps via Google Play and Apple Store. To collaborate with Roku and Hi Sense Smart TV to distribute Viva OTT products and services. To engage and leverage Brand Ambassadors with big name recognition. To complete cable television & radio media buys. To engage and finalize multiple acquisitions of revenue generating private companies designed to facilitate product launch and to expand market share. VIVA Entertainment Group: A global entertainment and technology company connecting content owners and video distributors to deliver premium content on any smart device with a screen. Viva has developed an OTT system through which television services are delivered using the Internet protocol suite over a network such as the Internet, instead of being delivered through traditional terrestrial, satellite signal and cable television formats. Viva provides subscribers access to the content they want anywhere, anytime. With a WiFi connection our customers can watch Live TV from around the world, TV shows, as well as movies on demand, Tele-video conference and many other interactive features. Independent and Major film studios, television networks, Telecoms, Cable Companies, and emerging ISPS partner with Viva for enhanced capabilities in multi platform video distribution. The only true end-to-end provider of premium content technology services, VIVA looks to license and deliver to traditional and OTT video distributors across the world. VIVA is a publicly traded company under the stock symbol $OTTV. Johnny Falcones is an industry veteran with the strategic vision, the drive, and connections to advance Viva's platform in the TV industry. 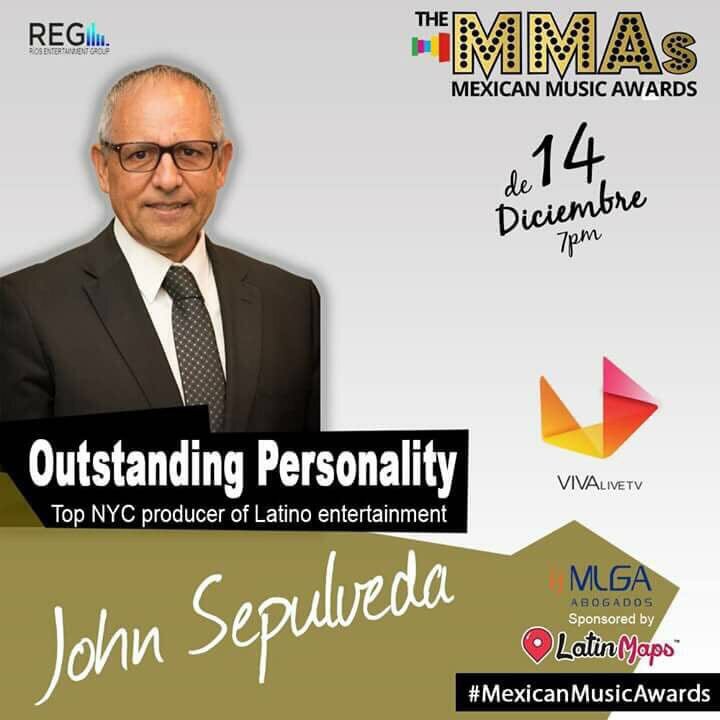 His extensive experience in the entertainment industry has guided the careers of Marc Anthony, Celia Cruz, Tito Puente and Soleil J, India, Ivy Queen & Jose Alberto "El Canario." He developed a successful record label with Universal Music and Video Distribution, turning it in to a multi-million dollar label. Two decades ago, Falcones was just a Puerto Rican born, cool kid from Brooklyn, who moonlighted as a DJ while attending LaGuardia College in New York .2 turntables & a keen ear, Falcones quickly became the musical authority of NY's Latin House music scene of 90's. It was one faithful night at Palladium nightclub, where he had a chance encounter with legendary music impresario Ralph Mercado, who recruited him to RMM Records. Together they globalized the Latin record industry, converting starry-eyed local vocalist Marc Anthony & India from buzz act, to icons. Within months, the young up and coming Falcones was globe-trotting with Superstars, Celia Cruz & Tito Puente. Under Falcones' management, these stars collected a bevy of international awards & were immortalized via 'Hollywood Walk of Fame' slots. Falcones co-exec. produced the White House's 24th Annual Hispanic Heritage Awards in Sep. 2010, which featured a luminaries such Alejandro Sanz, Juan Luis Guerrera & Don Francisco. Mr. Gomez brings over 25 years of technical experience. He has proven success in marketing, advertising and engineering. Through the years he has focused on the integral development of production, content and segments for television. He developed multiple radio stations and systems for Radio Atlantica in Argentina. He is an experienced leader in media and content negotiation, has thorough knowledge of pay television, its content and advertising in the South American countries of Argentina, Uruguay, Paraguay and Chile. He began working on IPTV in 1998 and currently helping to perfect OTT projects for multiple European and South American countries. He is a savvy tech that brings many years of network licensing experience to VES. Mr. Gomez has a degree in Engineering from the University of Buenos Aires and a degree in Advertising and Communications from the University of Salvador. Mr. Hernandez is a seasoned executive with a specialized emphasis in Spanish Language efforts. Currently serves as CEO for Oi2, which he Co-founded and built into the largest Spanish language radio network in the U.S. Oi2's current footprint spans throughout the digital space and across territorial broadcast and digital media presence in 33 countries via a network of 1,700+ radio station affiliations and digital distribution on mobile and satellite media platforms including iHeart Radio, TuneIn, SiriusXM Satellite Radio and more. Mr. Hernandez was a previous Hispanic media voice to Congressional Hispanic Caucus and FCC on advocacy for minority media interests. He Co-founded Spanish Broadcasters Association to address Hispanic issues as an advocate group before the FCC and other relevant organizations. Also serving as a member of the policy committee for the Minority Media & Telecommunications Council and as Co-Chair of the finance committee for the National Association of Multicultural Digital Entrepreneurs. During his tenure in media related efforts he has been able to work-in, develop, and manage various efforts in most communications disciplines: Broadcast & Satellite Television and Radio; Print; Online; Mobile Media; Grass-roots/Event Marketing, and much more. Launched over 23 of the most popular radio content brands in national Spanish radio (ie: EXA, NFL en Espanol, E! Entertainment en Espanol, Billboard Radio en Espanol, El Cucuy, El Chulo y La Bola, etc.). Mr. Hernandez is attributed with launching the first ever Hispanic formatted satellite radio channels on a global basis available by satellite radio to all of Europe, Asia, Africa, and Australia. Under his management some of the most popular personality driven Hispanic radio shows and branded Spanish language content have become globally syndicated. He is responsible for repurposing several marquee general market brands into Spanish language formatted radio brands and audio formats. Mr. Marcano currently serves as Vice President of Hispanic Operations, for iHeartMedia. Mr. Marcano has more than 30 years of experience in the media industry and as Vice President of Hispanic Operations, Marcano works with iHeartMedia's Hispanic radio stations, with a special focus in the Miami, Chicago, Orlando and Atlanta markets. He has led the sales efforts with top prospects and develops custom strategies and campaigns that leverage the unique multi-platform reach and power of iHeartMedia. Mr. Marcano is also responsible for creating innovative advertising opportunities based on iHeartMedia's unmatched national reach and local activation through its radio, digital and mobile assets, as well as its event capabilities, to provide Hispanic advertisers with targeted, effective, affordable and powerful ways to deliver their messages. IPTV services may be classified into three main groups: 1) Live television, with or without interactivity related to the current TV show; 2) Time-shifted television: catch-up TV (replays a TV show that was broadcast hours or days ago), start over TV (replays the current TV show from its beginning); 3) Video On Demand (VOD): browse a catalog of videos, not related to TV programming. VIVA’s product offering, provides the components and systems to build up a CDN and along with Viva Middleware (the heart of the system), allows the provision of IPTV (Live and VOD) and other value added services, no matter the type of network (managed or unmanaged) or the number of subscribers. Viva is an Interactive TV Middleware, a multi service delivery platform (MSDP), providing converged and interactive IPTV services for the ISP, Telco, Cable and Campus/Hospitality market. The Viva platform enables end users to enjoy rich multimedia services any time - any place. Services can be delivered over IP, DVB-C/T/S or 3G/4G access networks using several different devices in managed network or Over The Top, via open Internet. In addition, Viva’s innovative approach enables third parties to develop attractive first or second screen applications on different devices like PC, mobile phones, tablets, Smart TV sets or various STB devices. The Viva platform represents the heart of the IPTV ecosystem, enabling service providers to accomplish attractive visual and functional differentiation of their IPTV service. Agile development allows service providers quick response to competitive market conditions. Viva's main competitive advantages are field proven application platform, platform openness and flexibility, unique bouquet of IPTV converged multimedia services and customizable, responsive and graphics-rich user interface. Pay as you grow approach enables service providers to start slowly and extend the system according to the actual growth of the subscriber base. The Viva platform comes with comprehensive system management module, which enables total control over operational parameters and central customer, device and service provisioning. Viva enables the service provider to manage its video, audio and information assets and to offer these assets within reliable and compelling platform. It offers a rich information support for Live TV service with customizable channel list and e-program guide in various shapes. TV channel recording functionality is available in various flavors to satisfy user's needs and lifestyle: program recording, Time-shifting, Pause Live TV and Instant TV recording. Viva Middleware is offered as a standalone solution, as the most important building block for the complete end to end IPTV solution, whether in the multicast, DVB or Over the Top environment. Viva's OTT solution is based on the best of breed components and solutions from the leading vendors in the IPTV world that have been proven in many wide and varied cases and environments in the past. End-2-End solution designed by Viva is based on the Open Standards Systems and Standards adopted in the DVB and IP world. JUMBOTRON AD OFFICIAL LAUNCH LAST NIGHT! This is the new Time Square Jumbotron ad seen by 400,000 people per day everyday through New Years Eve. It runs every 15 min. Make no mistake the last ad simply said VIVA was coming. VIVALIVE TV is HERE. THIS IS THE 1ST PLANNED STEP IN THE OFFICIAL LAUNCE. VIVA Entertainment Group, Inc. (OTC: OTTV) ("VIVA" or "the Company"), a distributor of Over-The-Top (OTT) IPTV content to consumers in a bundled subscription format, today announced that it has signed an agreement with Neutron Media for electronic billboard advertising on the 1500 Broadway Spectacular Jumbotron in Times Square commencing on December 15th, 2017 and running through March 15th, 2018 to advertise the Viva Live TV App. Located in the heart of Times Square, the 1500 Broadway Spectacular digital billboard is 56" x 29" for a total of 1,624 square feet of viewing space. Viva's airtime package will be looping a minimum of three times per hour, airing 20 hours per day from 6 a.m. to 2 a.m. over the three month period and delivering a minimum of 5,460 total spots. VIVA Chief Executive Officer, Johnny Falcones, commented, "We are excited to return to advertising at Times Square and are thrilled that we could secure a prime Jumbotron location for advertising our Viva Live TV App and catch the major holiday season where millions of people visit Times Square daily. In addition, the Times Square New Year's Eve celebration is expected to draw over one million people on a single night with no other place on Earth getting more global television coverage. Being a company with international appeal, advertising at Times Square gives us tremendous access to potential customers that we could not otherwise reach in an economic fashion. Our VIVA Live App gives subscriber's access to Live TV from around the world, including live TV and movies on demand." Mr. Falcones concluded, "Now that our platform has been fully developed and we have expanded our content to a premium level over the competition, our immediate strategy is to aggressively target sales. VIVA recently announced agreements with Oi2 Media Group to both provide VIVA Live content to Oi2GO subscribers and also retain Oi2 to sell advertising for VIVA, both moves integral to expanding revenues. Our Times Square Jumbotron digital advertising campaign is a great extension to the Oi2 agreements as a way to bring eyes to VIVA. As we enter 2018 we are committed to rapidly expanding and scaling up our subscriber base, with Times Square advertising being one of numerous product marketing, distribution and advertising initiatives we are aggressively working on. We expect to announce additional agreements very soon, all designed to increase awareness of the Viva Live TV App, build a subscriber base of recurring subscription revenues and develop our in-app advertising revenue stream. " Check out page 24 of oi2go's IPO information! All stock board posts are the opinion of the posters, are no substitute for your own research, and should not be relied upon for stock trading or any other purpose. * If you violate any other posting term(s) as stated in the iHub TOS/User Agreement. When a post is 99% on-topic and 1% is a personal attack or another iHub rule violation, the post will be removed. Personal attacks, vulgarity, politics, religion, etc. are violations of iHub's rules (refer to iHub Handbook), disrespectful of other users, and are unwelcome. These types of gratuitous comments only create noise and dilute the quality of the board. When a user attacks another poster, other participants inevitably feel the need to respond, either agreeing or defending, then others feel the need to respond to these…and so on...ad nauseam. With such, a board will devolve into personal attacks and discussions about other users, noise, signals, etc. There other sites available that allow these types of posts and that is the place for topics of conversation beyond iHub's stated stock board rules. The goal of iHub is to have all information whether positive, neutral or negative, discussed in a civil manner, free of violations. iHub board users do not have to provide any proof, quotations or external links when offering their stock opinions. There is no requirement contained in iHub rules for users of stock boards to substantiate any of their posts; the veracity of posts and credibility of the author are solely determined by each reader.